Tired of dealing with traditional car dealers? At Petrol Auto Sales we understand many people hate shopping for a used car. Let us show you how we are different. Don’t get frustrated trying to negotiate in the automall. We market research each used car, truck, and SUV we sell and always price according to current market conditions. You don’t need to be a rockstar negotiator to get a great deal at Petrol Auto Sales. We pride ourselves in our ability to get nearly anyone financed. Interested in a new car? Maybe you’ve found the perfect used car, but it’s at another dealership? Contact us and let us broker your next car deal. We’ll deal with the other dealership, save you money, and more importantly save you time, stress, and headache. We do all the haggling so all you do is walk in and drive away! Our slogan is “People are the most important part of our business.” That’s not just something we say, there’s a reason behind it. Our owner has been in the car business in the Sacramento area for over 14 years, starting as a lot porter and detailer, eventually working his way up through the sales department to become a General Sales Manager in 2013. It is our goal to be Sacramento’s Best Used Car Dealership. We strive everyday to offer the best used cars in Sacramento. We do this by putting every car through a multi-point inspection and road test with ASE Certified mechanics. Our team has experience working with nearly every make and model, so no used car or truck gets missed. We encourage you to come see our inventory, and compare to see the difference. At Petrol Auto Sales we realize our business can only grow with the growing affection of our clients. We hope you’ll give us the opportunity to show you what we mean. We strive to do business with total transparency, selling a quality product, and being up front about our pricing, financing, and optional extras. Ryan has worked in the automotive industry in the Sacramento area for over 14 years now. 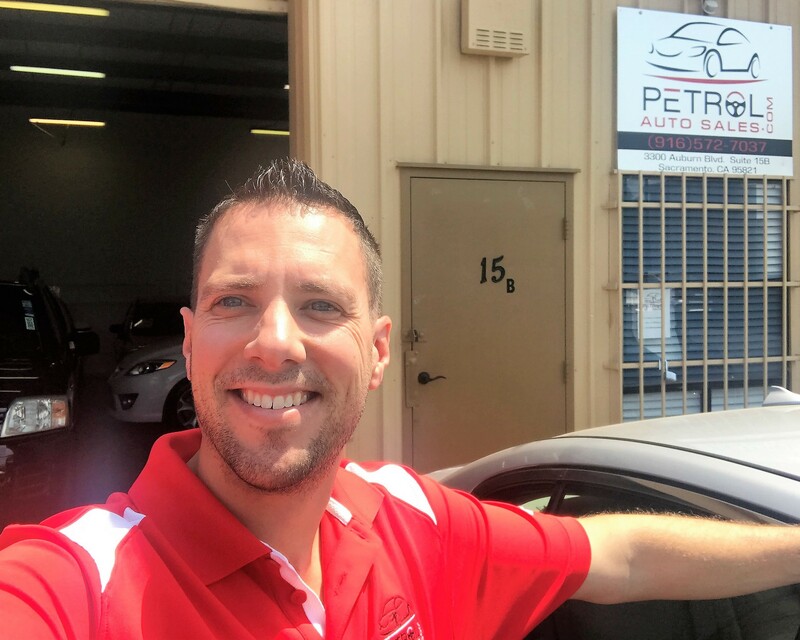 After working in management for several large dealerships in both the Folsom and Roseville Automall, Ryan decided it was time to go into business for himself, and opened Petrol Auto Sales in early 2017. Ryan’s affection for cars and passion for helping people is a natural fit as an independent dealer-owner. With over a decade of finance experience Ryan enjoys excellent relationships with many different lenders, which helps us offer our clients competitive finance options regardless of credit. Jake Brandt has been helping customers find the perfect car for their needs and budget since 2015. His background in the Roseville Automall lends him to serve clients from all walks of life, and his history in one of Sacramento’s premier luxury car stores shows every day with his commitment to customer satisfaction.